Dreaming of going to college out of state? Good call. By stepping out of your comfort zone, you will earn independence and world experience that truly prepares you for your future. 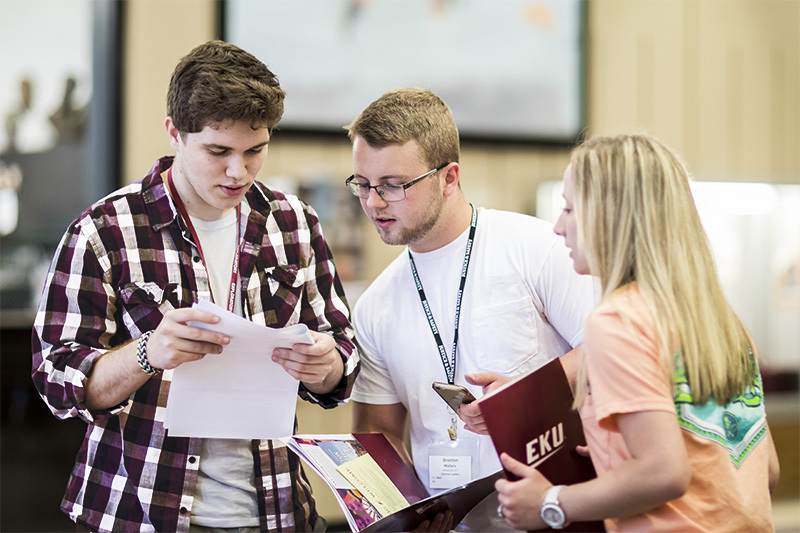 At Eastern Kentucky University, you can achieve your dream without paying prohibitively high out-of-state tuition costs. 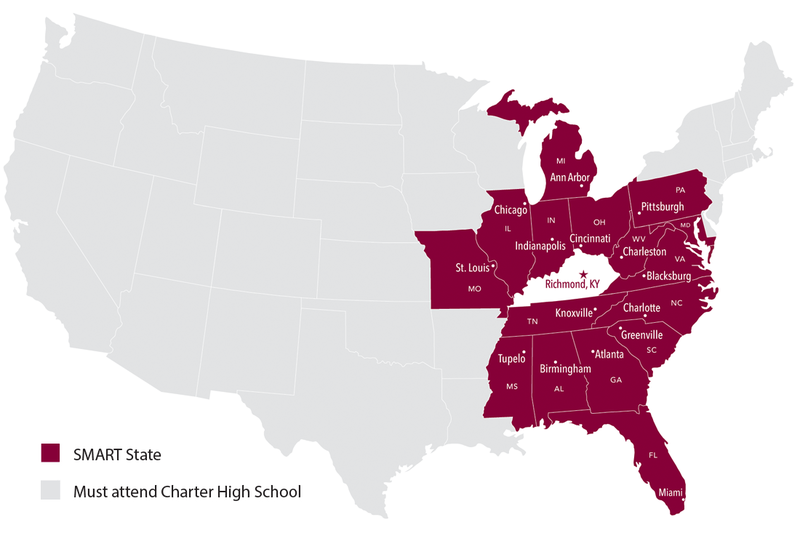 EKU’s Selective Merit Aid/Reduced Tuition (SMART) Program rewards qualified students from selected locations with a flat, $10,000 annual tuition. That’s equal to America’s average in-state tuition cost, and around $8,000 less per year than EKU’s typical out-of-state tuition. For starters, you must be a resident of one of these states: Florida, Indiana, Maryland, Michigan, Mississippi, Missouri, North Carolina, Ohio, Pennsylvania, South Carolina, Tennessee, Virginia, West Virginia, as well as Washington, D.C.
Aside from affordable tuition, EKU offers Kentucky’s best traditional college experience on the state’s most beautiful campus. EKU offers practical, in-demand programs taught by industry experts who know you by name thanks to a 16:1 student-faculty ratio. Some of the programs taught on EKU’s campus — such as professional flight, education of the deaf and hard of hearing, and professional golf management — you won’t find anywhere else for hundreds of miles.